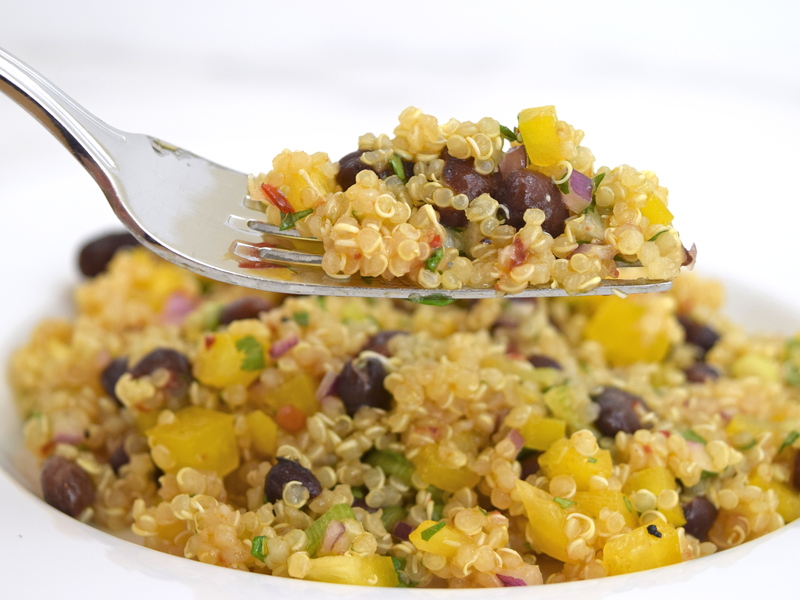 Quinoa is not only nutrient-rich, but is so easy to make. It is considered to be a “complete protein,” because of the amounts of amino acids, lysine and isoleucine, it contains. 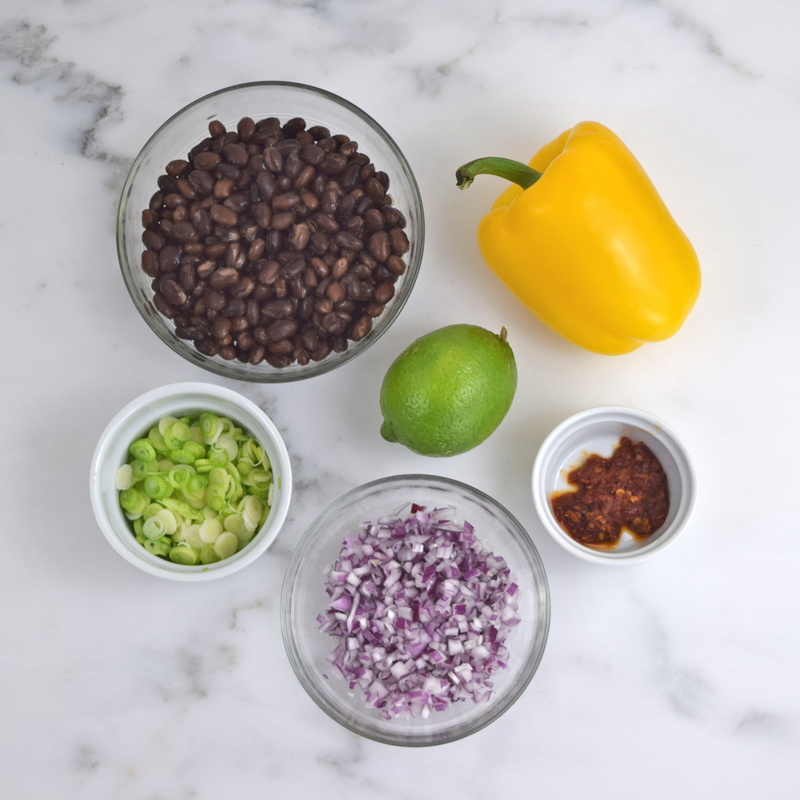 This salad has a wonderful smokey flavor from the chipotle, which also gives the dish some “heat.” In addition, you can taste the green and red onions and the cilantro! The quinoa recipe was adapted from Ken Oringer in Food and Wine, From a Chef’s Incredible Winter Picnic, published December 2009. 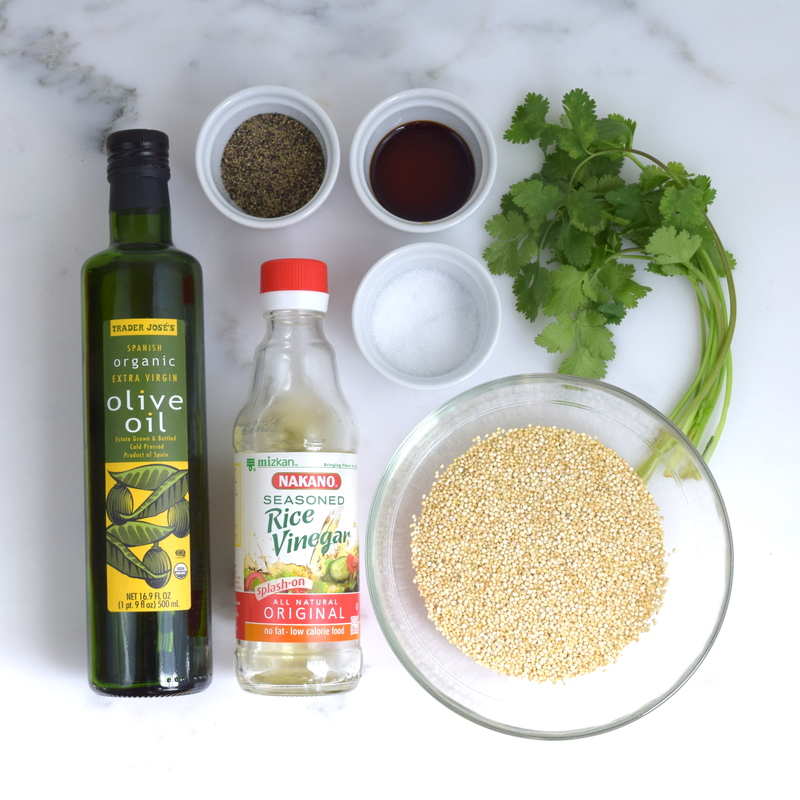 I substituted the sherry vinegar with rice vinegar and reduced the amount of olive oil. Using a medium saucepan, combine 2 cups water, quinoa and pinch of salt . Bring to a boil. Reduce heat, cover and simmer for 15 minutes, until water is absorbed. Set aside and “fluff,” until cool. In a large bowl, whisk together vinegar, soy sauce, lime juice and chipotle. Add olive oil in a thin stream, while whisking. 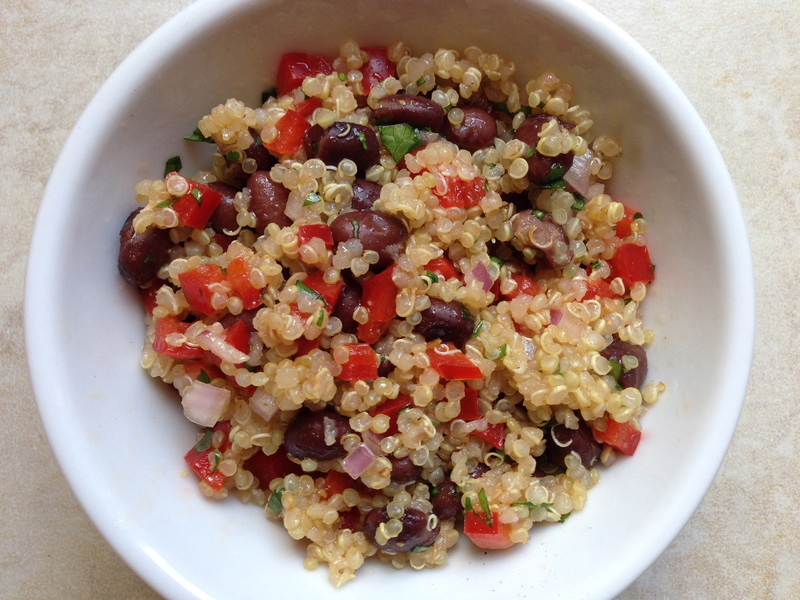 Mix in beans, quinoa, green onions, red onion, yellow pepper and cilantro. Finally, add salt and pepper to taste. Serves 8. The other day I had some delicious chicken quesadillas at the California Pizza Kitchen. I thought they would make a wonderful appetizer for our Super Bowl Party. 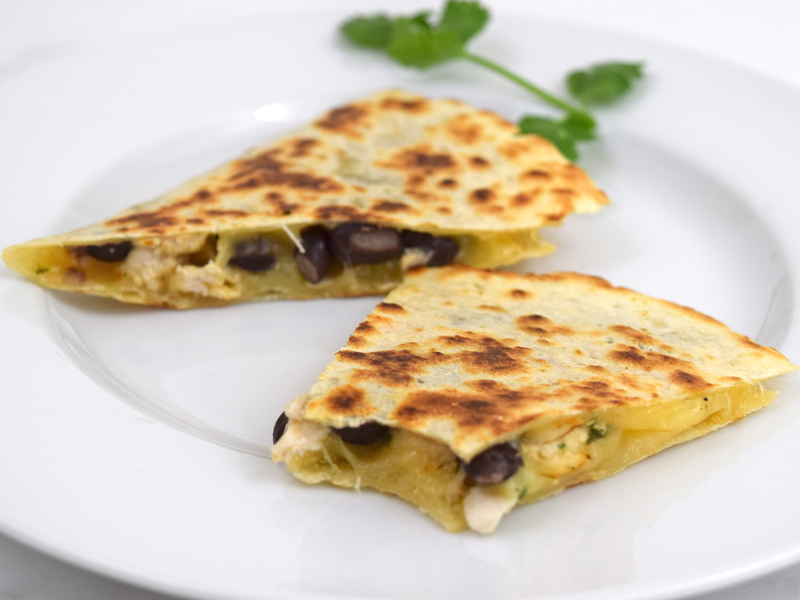 Besides chicken, their quesadillas contain cheese and black beans. The perfect cheese to use is the organic Monterey Pepper Jack Cheese I get at Trader Joe’s, because it is just a bit spicy. I was able to use almost all organic ingredients, except for the chicken. 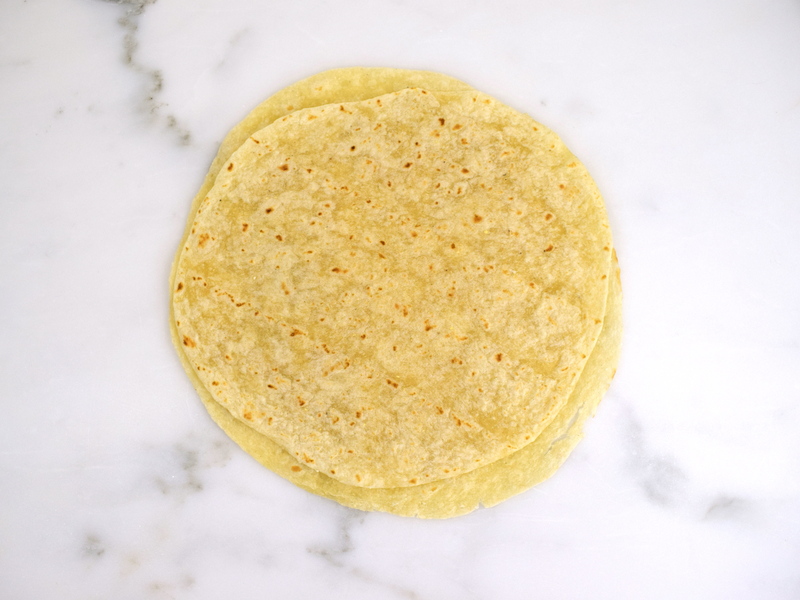 Flour tortillas can be replaced with gluten-free tortillas. So here is my recipe for some yummy and simple to make appetizers! (This can easily be adjusted to make more or less quesadillas). 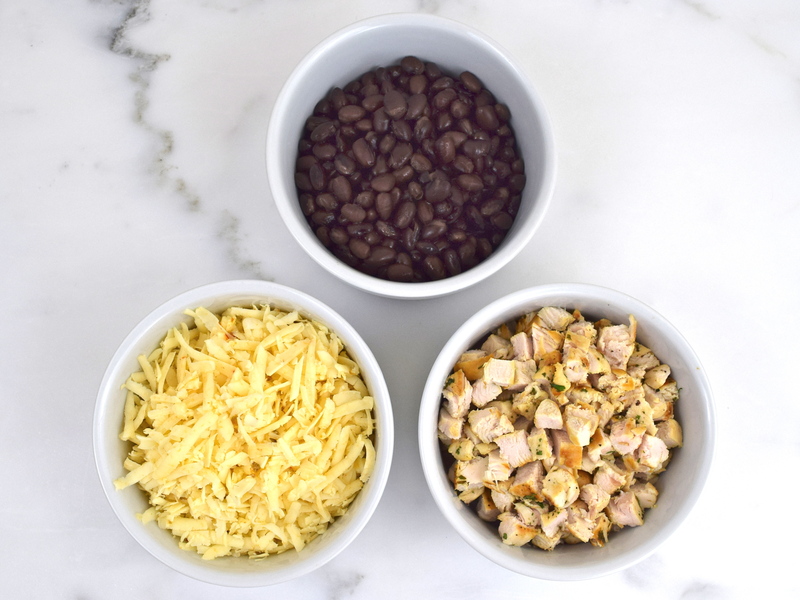 Spread some cheese lightly over half a tortilla. Then add some black beans and chicken. Finally, add another light layer of cheese. Fold tortilla in half. Repeat 5 more times. Using a large nonstick frying pan, place the quesadilla in the pan. When one side in golden brown, flip over and brown the other side. 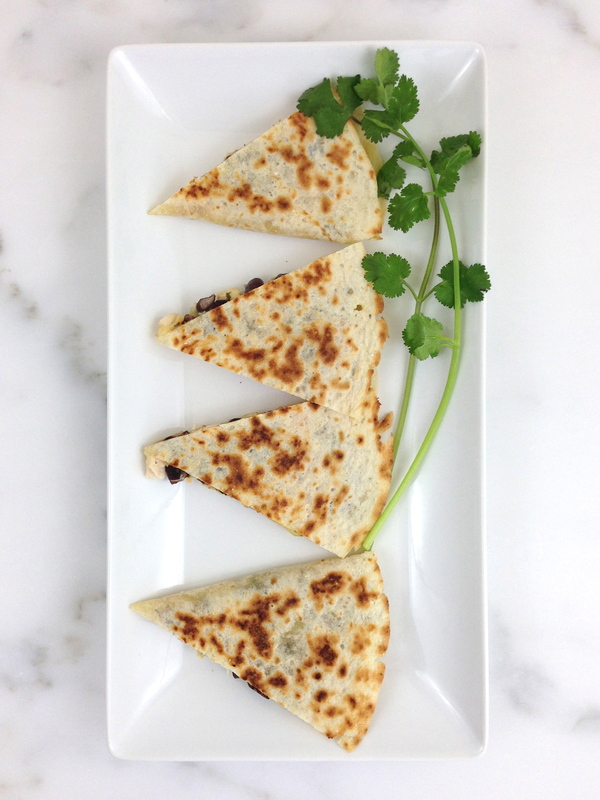 Cut each quesadilla into 4 equal pieces and serve immediately. Makes 6 quesadillas. This delicious recipe I found in Cook’s Illustrated, September/October 2014. I changed the recipe slightly, using organic ingredients when possible and frozen sweet corn, instead of fresh. I am sure it is even more flavorful with fresh corn! In a 12 inch nonstick frying pan, heat 1 tablespoon of olive oil over medium heat. Add onion, bell pepper and jalapeno, until the onion has softened for about 4 to 6 minutes. Then add garlic, cumin and 1/4 teaspoon salt for about 1 minute. Finally, add the beans and cook until beans are warm for about 1 minute. Transfer black bean mixture to large bowl. Carefully wipe frying pan with a paper towel. Heat the remaining 1 tablespoon olive oil in frying pan over medium-high heat until shimmering. Add corn and 1/2 teaspoon salt. Cook until corn is browned and begins to “pop” for about 3 minutes. Stir corn again and cook for another 2 to 3 minutes, until it is nicely brown. Add corn to the bean mixture. Finally, stir in cilantro and lime juice. Serve and enjoy! 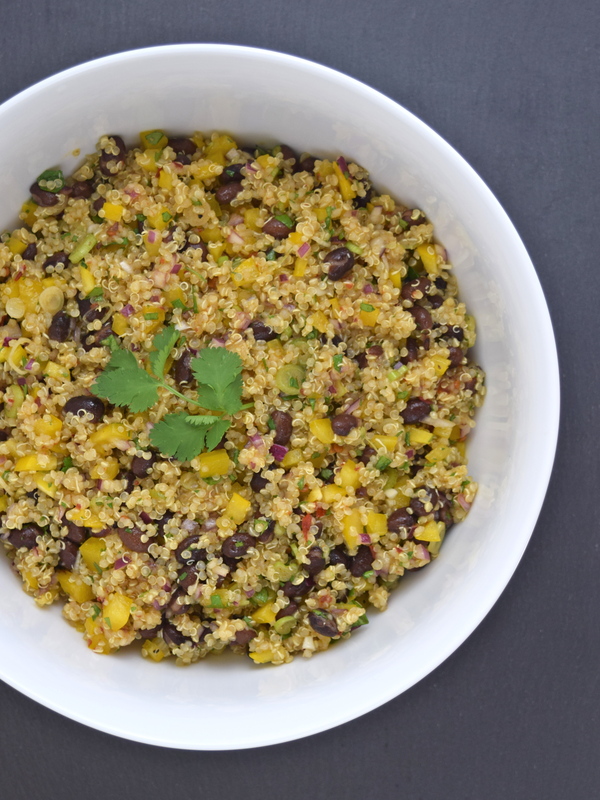 This quinoa salad has a wonderful Mexican flavor with the black beans, lime juice, cumin, cilantro, onion and red bell pepper! It can be used as a side dish or can even be a light meal all by itself, because it good source of protein. As a bonus, it’s quick and easy to make! Rinse the quinoa thoroughly. Combine the quinoa, water and a pinch of salt in a medium saucepan. Bring to a boil, then cover and simmer at low heat until water is absorbed. 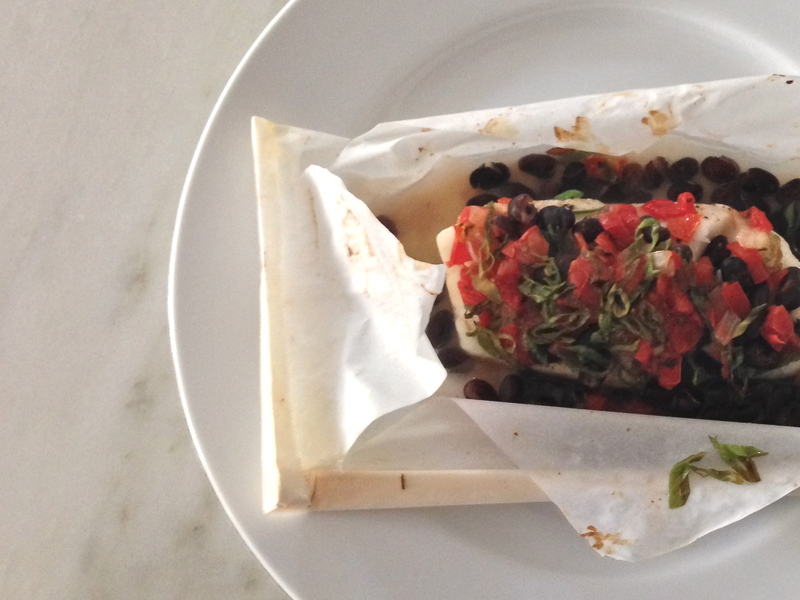 Uncover and let the quinoa cool. Whisk cumin, lime juice and oil together in a small bowl. Add salt and pepper to taste. 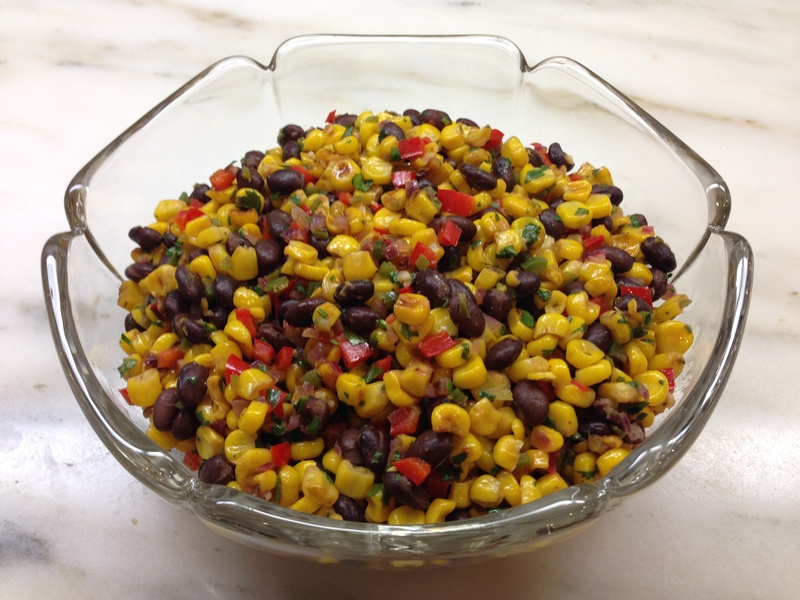 In a large bowl, add dressing to black beans, bell pepper, cilantro and onion. Add the quinoa. Taste and add more salt and pepper, if necessary. Serves 4.